HLF funding provided funds for an assessment of the collections and an initial assessment was carried out by Clare Valentine, Head of Life Collections at the Natural History Museum, London. It was very useful to pick her brains about some of the storage issues – dealing with specimens stored at height and improving some aspects of collections care. The collections have revealed some wonderful surprises and ‘wow’ moments. The extensive HLF Guermonprez Collection which came into the care of Portsmouth Museums along with the contents of the Bognor Museum in the 1970s is certainly a highlight. The collection which comprises over 9,000 herbarium sheets, cabinets of geological, entomological and conchological specimens, a newly discovered cabinet of lichens, as well as cased and uncased taxidermy, have full provenance data from the late 19th to early 20th centuries. Other collections that have been very exciting to rediscover are the C. E. Palmer Herbarium, a mainly north Hampshire (VC 12) collection that I have been trying to track down for over 15 years; the bulk of the A. W. Westup Herbarium of British plants (his Hampshire specimens are held in Winchester) and a collection of 150 plants collected by Mrs Tate on Portsea Island in 1832. 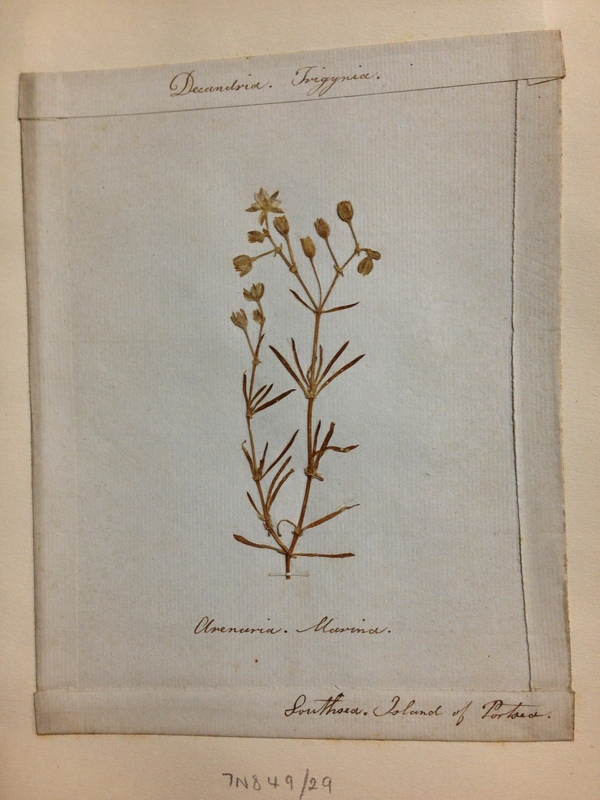 Plant collected on Portsea Island in 1832 by Mrs Tate. © Portsmouth Museums. The geology collections are currently being worked through and show a good representation of fossils from the Hampshire Basin and the south coast of the Isle of Wight. 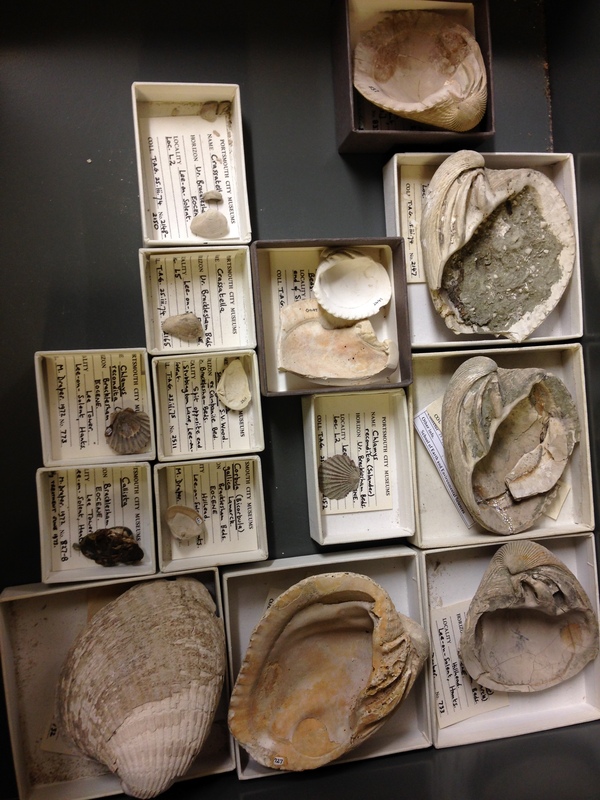 Another surprising find has been the conchology collections – marine and freshwater bivalves and gastropods as well as two very comprehensive collections of land snails collected by Penning and C. E. Benson. The scope of the entomology collections will be revealed after they have been rehoused but it has been exciting to discover a cabinet of beetles and butterflies collected from Portsdown Hill by D. J. Clark in the 1950s and 1960s. My favourite find to date are three decorated Gentoo Penguin eggs collected from the Falkland Islands during one of the Discovery II marine survey expeditions between the 1930s and 1950s. 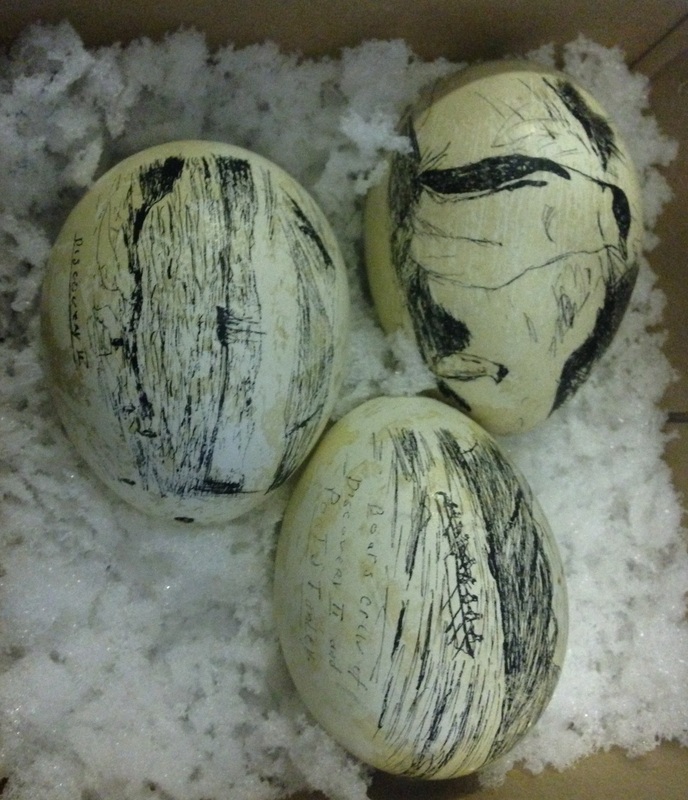 Gentoo Penguin eggs from Discovery II expedition. © Portsmouth Museums. As for making the collections accessible, a Blog and Twitter feed @wildaboutportsm have been set up and the first tranche of family events (Big Bugs, Marvellous Moths and Nocturnal Animals), a talk about the collections, and an art workshop for adults have already been delivered. Local botanists are visiting over the next few weeks and I am hoping to invite local specialist groups in for a day so that they can gain an insight into specific areas of the collections. I have also attended events at the Winchester Science Centre and at Dinosaur Isle, as well as two volunteer fairs. The next exciting development is the recruitment of a Natural History Collections Assistant which is currently being short listed. I have thoroughly enjoyed my first six months of working through Portsmouth’s Natural History Collection and looking forward to more amazing discoveries – roll on the next six months! First geology drawer catalogued by volunteers – 137 drawers to go. © Portsmouth Museums.